Outdoor Inflatable Advertising - Best Way To Showcase Your Products. Advertising, an integral part of marketing, is an innovative process. It makes it more interesting as it involves the general mass of people. Advertising is a specialized activity and involves complete dedication. This dedication and ingenuity are evident from the different ways in which publicity is done, particularly in the outdoor category. In today’s world, outdoor advertising using inflatable products is a very popular way to increase visibility to your target consumers. In open air advertising, outdoor inflatables offer an interesting variation of sizes, shapes, forms, and colors. Balloons are perhaps the commonest form of inflatable medium used for publicity. Other categories include dancing balloons, inflatable product replicas such as bottles and cans, inflatable costumes, and inflatable spider tents. 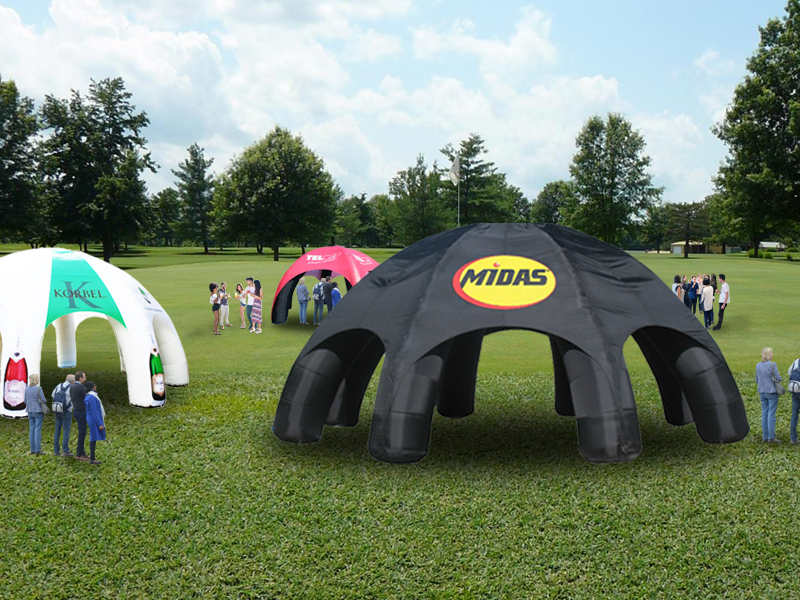 Inflatable advertising products come in many shapes and sizes, from small point-of-purchase pieces to giant replicas. They can be sealed inflatables or continuous cold-air units, or for use with helium. 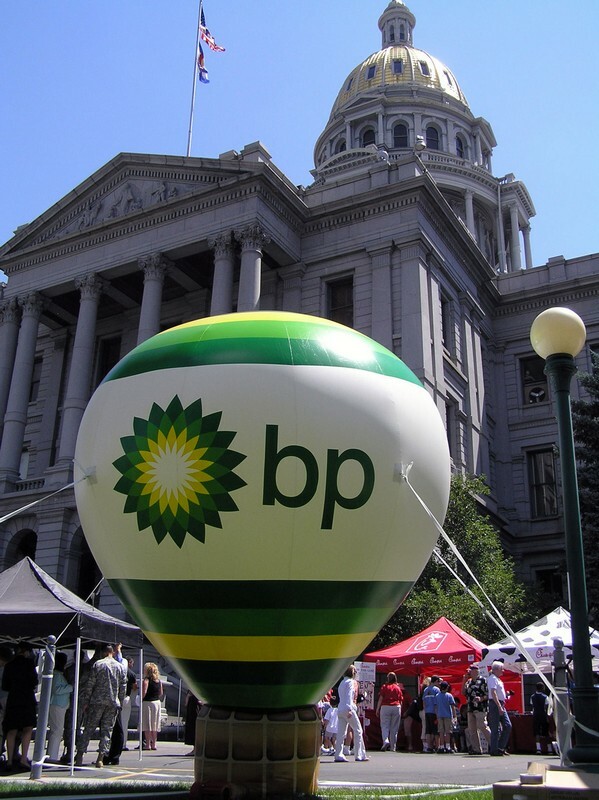 Inflatable advertising pieces can be replicas of your products, large or small, or standard spheres, blimps, or hot air balloon shapes; the possibilities are endless. Wacky Men ™: Dancing balloons or air dancers are fun to watch and attract children and grown-ups alike. These are stationary, elongated or columnar in shape and easily identifiable from a fair distance. These dancing balloons or 'air-dancers' are installed over a motor that sends air up this elongated cover. As air is sent up this column, the entire balloon takes different postures and appear very amusing from a distance. These are brightly colored in orange, grass green, canary yellow or scarlet red. The wacky man is a distinctive way of advertising, they are appealing to both young and adults. they come in extraordinary shape and shades. These are ideal for fairgrounds, street corners, and parks. Custom Made Inflatables: This is another form of inflatable item ideally in the shape of a product that it advertises. These could be in the shape of bottles, cans, books, chocolates or shoes. These are ideally used in trade fairs and business conventions. These are attached to air pumps either from outside or inside that blow in the air continuously to keep it inflated. You could also have them made in the shape of your popular cartoon character or your favorite animal. More and more advertisers are using this form of outdoor inflatables for trade fair and general publicity. Though these are not as funny as dancing balloons, they are colorful and visually appealing. Helium Balloons: Unlike hot air balloons, these are helium filled and work on the principle of a low density of this gas as compared to the air around us. These could be shaped in the form of blimps, spheres or any other customized shape. 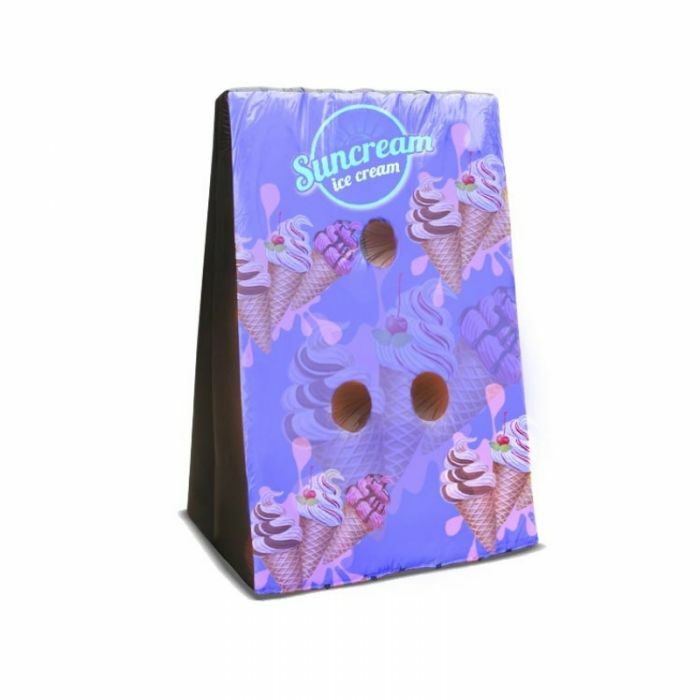 Customization is entirely dependent on your choice and you may order for ice cream cones, fish, cans and beverage bottles. Spider tents: These inflatable tents in the form of hemispheres standing on several legs take the appearance of a spider. This is a highly effective way of outdoor advertising especially in fairgrounds, open spaces, and road corners. As these are visible from a distance and take an unusual shape, they are easily identifiable. 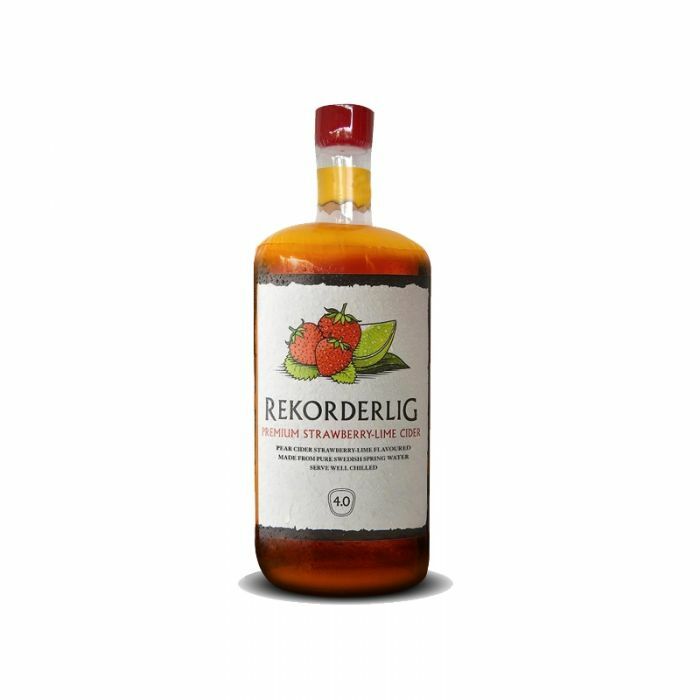 You could choose this for publicizing your product. Hot air balloons shape: This is a traditional form of outdoor advertising which is used in clear weather. Hot air balloons in tempting colors are used as outdoor inflatables by companies from different segments like hospitality, household appliances, FMCG, housing and real estate, and so on. 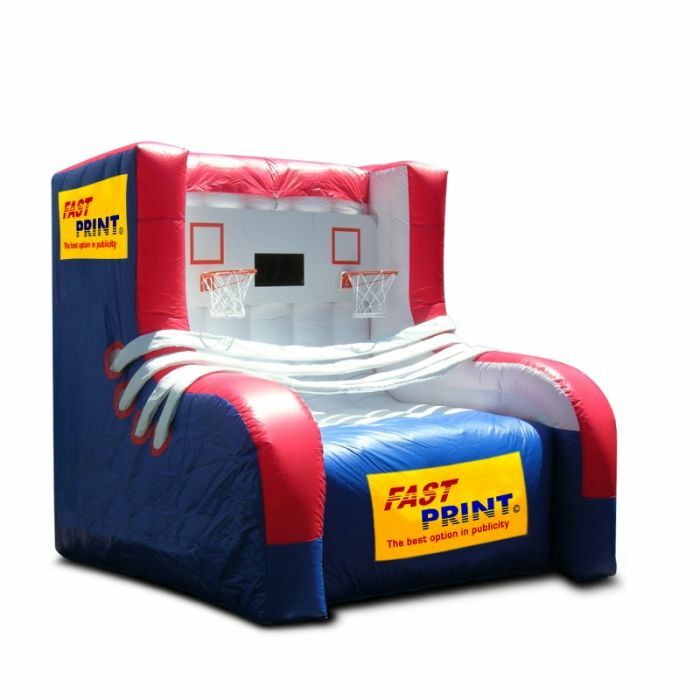 Inflatable Football Toss: Indulge in fun and games with your customer with this cold air custom inflatable toss. With football at the center of your advertising, you can immediately touch a chord with your customers. Golf Driving Range: Golf is a game enjoyed by children and adults alike can now be easily connected with your brand with our innovative and revolutionary Gold Driving Range! Mix business with some fun and games, organize a golf tournament and watch your sales go through the roof! 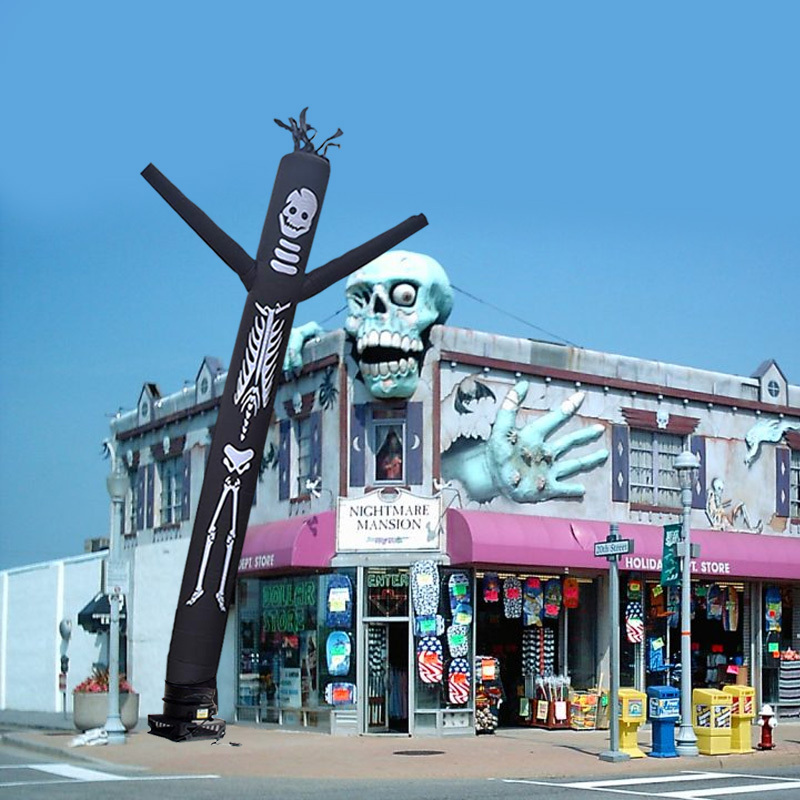 Why should you use inflatables for outdoor advertising? Having a high rate of visibility helps you increase your brand name by keeping it in the minds of your current consumers and introducing it to potential consumers. 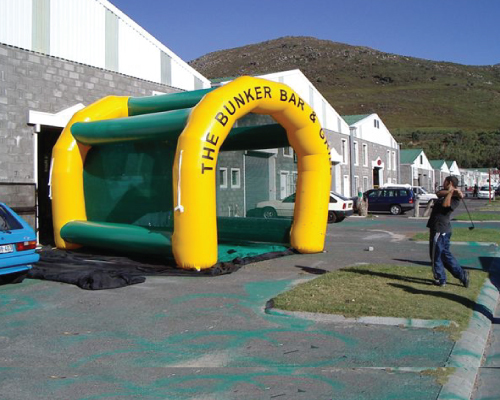 Inflatables are eye-catching and fun and help increase your brand visibility. Inflatable Advertising products are unique and entertaining. The products are customized to your needs, including size, shape, and colors, making them unique to your brand. And with their 3D nature, they stand out from competitors and make a noticeable impact. Inflatable advertising is convenient. Because it is filled with air, you have a considerable amount of freedom with little substance. Once the air has been taken out, these inflatables can be packed up and carried to a new location with relative ease. Further innovations are expected as technology has changed radically over the years, as also the taste and preferences of consumers.